As most will know, Gilroy, California, is the “garlic capital of the world”. Our RV park is approximately 17.61 miles from Gilroy, HOWEVER, at 6:00 am, depending on which way the wind is blowing, Gilroy and it’s famed garlic fields might as well be right next door. It is a testament to the vegetable also known as the “stinking rose”, that one can never forget the scent, nor escape it. Do people who live here for years ever NOT smell it? As much as we love the flavor of garlic, in moderation, we are just as happy to leave our park in 10 days (and counting). 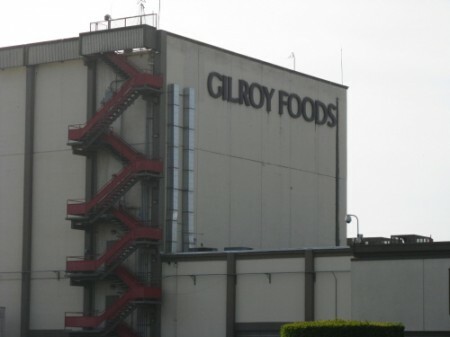 Perhaps when we return to Northern California, we will try to get a place a little farther away from Gilroy. This entry was posted in General by admin. Bookmark the permalink.